Doubling down. 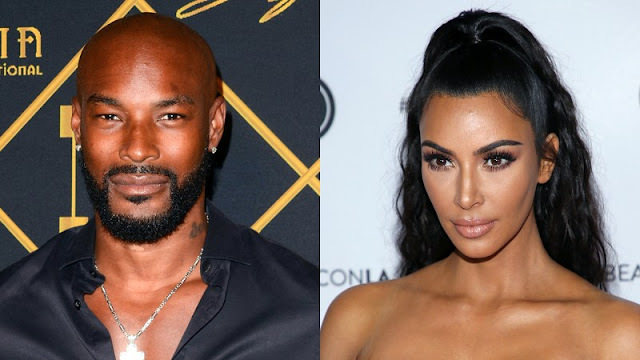 Kim Kardashian defended her response to Tyson Beckford’s body-shaming after some claimed her comeback was homophobic. Beckford body-shamed Kardashian in the comments of a photo of the reality star shared by The Shade Room on July 31. “Sorry I Dont care for it personally,” the model wrote before adding, “she is not real, doctor f—ked up on her right hip,” and a throw-up emoji. The KKW Beauty founder came for Beckford. “Sis we all know why you don’t care for it,” she replied alongside coffee, frog and nail-painting emojis. Some believed Kardashian’s comments to be homophobic. Meanwhile, the 47-year-old adamantly denied being gay. Khloé Kardashian echoed her sister’s sentiments when she talked about the heated exchange on August 2. “I was with her when that was going on … what I hate is that people are saying that she is homophobic for that, but no one is saying that we shouldn’t also body-shame women,” the Revenge Body host, 34, told Extra.